LOVE. FRIENDS. FAMILY. Do these things make people happy? Evidently not, if this survey is anything to go by. Over 850 men and women were polled by for a seemingly pointless study by OnePulse, which asked them to choose what made them happy from a list of eight options. And the thing that makes most women happy is – drum roll, please – noticing they’ve lost weight. HMM. Yes, 24% of women said they prefer losing weight to wine and takeaways. This just doesn’t seem right. So now, lads, you know what makes you happy. Y’know what really brings us joy? More joy than noticing we lost weight? A nice lie in. A pint, some pals, and a chat. And pizza. Oh lord, pizza. Email “Here's what REALLY makes men and women happy, according to a ridiculous survey”. 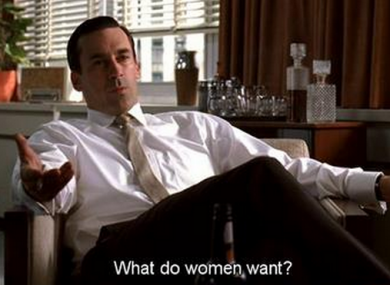 Feedback on “Here's what REALLY makes men and women happy, according to a ridiculous survey”.